We’re excited to announce the 2015 Women’s iBall Pro Combine (iBPC) First Team selections! Choosing the ‘cream of the crop’ was not an easy task this year because the pool of talent at #iBPC2015 was very deep. Player Experience ranged from 13 players with Professional Experience at the International level, 14 Players with US Semi Pro Experience, 10+ NCAA Division 1 Athletes, and many other Canada D1, NCAA D2 and D3 All-Americans. Scouting notes were compiled under the direction of Crista Ricketts, International Scouting Director of iBall United. Results of Athletic Tests conducted by MAXOUT were considered with Game stats and skills evaluations derived from sessions with the team at The Original Profender. So without further adieu, we are excited to announce the 2015 Women’s All-iBall Pro Combine First Team! 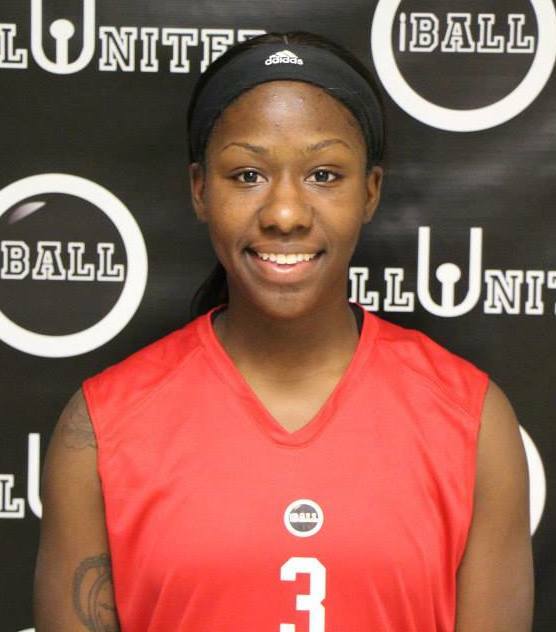 Precious Bridges is a superior scoring talent with an incredible passion for the game. She plays hard on both ends of the court, matching an excellent ability to score with tough, on-ball defense. Precious is a dominant offensive player. Her 3-point shooting, left to right cross over and pull up, and her ability to lead and finish strong in the fast break are things that make her a very special offensive player. Precious plays with a high basketball I.Q. Her super-quick moves are accompanied by quick and accurate decisions. She makes good passes in traffic and communicates very well with teammates. She is a very passionate player that exudes confidence and displays excellent leadership. Precious also plays with a high energy level defense. A shut-down defender, she takes pride in matching up against the opponents best scorer. She reads the passing lanes well and is a relentless on-the-ball defender. At iBPC, Bridges led all players in 7 statistical categories, including; total 3-pt FG made (17), total FG made (23), and vertical leaping ability (27.5″). Her 18.3 points ranked 2nd overall and her average player value (15.0) was good for 4th. Most importantly, Bridges logged 22 points and a 20-point player value to lead Team Creekside Sports Bar and Grill to the 2015 Women’s iBall Pro Combine Championship. In her senior year at Mercer University, Bridges led the Southern Conference in scoring with an average of 20.2 points per game en route to SoCon Player of the Year accolades. Precious ranked 21st in the Nation in Scoring. A dominant scorer throughout her career, she logged a career-high 43 points with six 3-pointers in a win vs St. Louis on Fri 11/28/14. Donia Naylor is a very solid all around player who displays quality leadership skills. She stays composed through adversity and plays with a lot of heart and dedication. Naylor is a scorer from inside and outside with decent ball handling skills going to basket. She creates her own shot and attacks the basket hard. Naylor has a nice face up game from which she attacks and goes to rim strong from the short post, top of the key, or wing. Naylor also has a solid pull-up jump shot and a soft touch when slashing to the basket. An excellent offensive rebounder who is also a superior athlete, both in vertical jumping ability (27″) and in lateral movement (3.8 sec shuttle). Naylor also runs the floor well, never quitting on any play, and hustles at all times that she is on the court. To go along with Naylor’s rebounding ability her motor and drive are also exceptional, and this carries over to the defensive end of the floor. On defense, she tracks and corals rebounds that seem to be out of her reach. Donia’s great length, passion, and good foot speed allow her to be a good defender. Naylor was #1 over all iBPC players in 20 statistical categories including; points per game (20.2), player value (18.0), Rebounds per game (9.3), defensive rebounds per game (7.0), and free throws taken (9.7) and made (6.7). Naylor also ranked #3 in overall Athletic Ability according to Stats by MAXOUT. 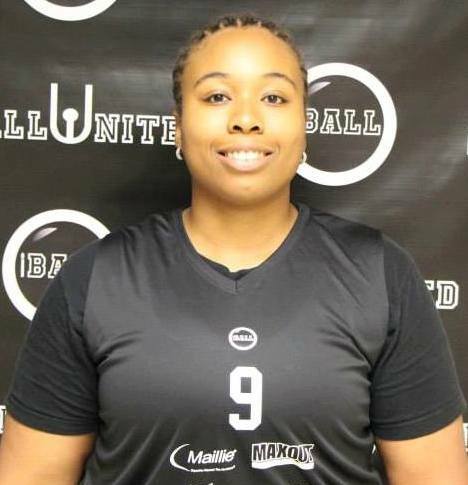 Naylor led Team Debaptiste Funeral Homes, Inc. to the iBPC Semi-Final where she logged an impressive 20 points and 12 rebounds. 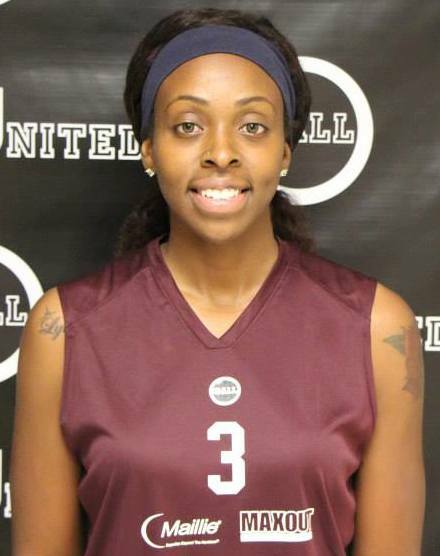 During her senior season at Bowie St., Naylor was named All-CIAA. Naylor averaged a double-double with an impressive 13.69 points per game and 11.42 rebounds per game. Naylor was nationally ranked in Offensive Rebounds (5.5-6th), Defensive Rebounds (7.0- 36th), Total Rebounds (15th) and Double Doubles (16- 20th). 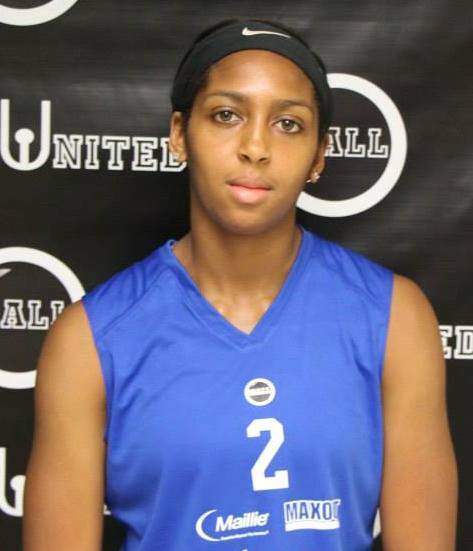 Monae Baker is a proven professional with an all-around game and polished skill set. With great communication skills on both offense and defense, she excels as a team leader. She is also a consistent performer who plays smart and with a high level of efficiency. What makes Monae special is her ability to attack the rim, draw fouls, and finish out players in the paint. She is dominant force on the interior who can also step out and shoot from beyond the 3-point arc with a high level of proficiency. Her wide frame controls the painted area where is a very hard worker. An excellent rebounder, she uses a wide and strong frame to gain great post out position and secure rebounds. She also moves well to track down balls, often tipping rebounds to herself and pulling them down. 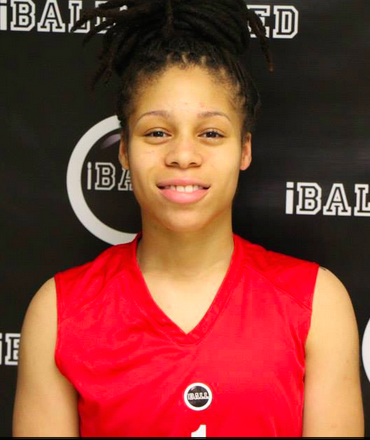 Monae utilizes ball fakes and number of post moves to attack and finish strong under basket. With a nice shot from 3-point range, a nice face up game, and strong midrange jumper, she is a player through which teams can run their offense. She is also a good passer out of post. On defense, Baker closes out well to the 3 point line. Baker is also very active on Post Defense. At iBPC, Baker led the Team A Star is Born Tax and Notary Service in Points per game (12.0), Player Value (15.3) and Rebounds per game (7.3). Baker was the #1 ranked player in FG% (57.1%), her Valoration average was #2 overall, and her Points and Rebound averages both ranked 4th out of all combine players. After graduating from Shippensburg, Baker traveled to Montijobanda Club (Portugal) where she averaged a double double with 17 points and 10 rebounds per game. On both offense and defense, Mackey brings great energy to floor. She communicates well on defense and applies contact ball pressure. A true ball hawk, she is always around ball, creating havoc with quick hands and good instincts to read passing lanes. Mackey never quits on play and often gets deflections and steals with active hands. At iBPC 2015, Mackey led Team Creekside Sports Bar and Grill to an undefeated record and the 2015 iBall Pro Combine Championship. Mackey led all iBPC players in Assists per game (4.0). A true testament to her ball distribution and leadership skills, four over her teammates averaged double figures in points for the tournament. At Park University, Mackey earned 2 Straight All-America Honorable-Mention Awards. In 2014-2015, she was named First-Team All-American Midwest Conference, NAIA Division I Women’s Basketball Honorable-Mention All-American, and ranked top 50 of all players in four separate categories including two top ten rankings. Mackey was fourth in steals per game (3.261) and in free throw percentage. She was also ranked 13th in total steals and 24th in assists per game (4.2). Advia Campbell is a Long and athletic player with the ability to attack offensively in many ways. She is adept when working from the post and also from the wing. A good, quick decision-maker with a great motor, her ability to rebound, lead the fast break and go coast to coast for strong finishes are some of the qualities that showcase her versatility and set her apart. Campbell is a quick hitter offensively in the interior, she has great hands to make difficult catches and reacts immediately. She is creative with her moves and quick to the basket and a good finisher in the paint. Campbell runs the floor well. And from all areas on the court, she uses her speed and length to get to basket. On defense, Campbell protects the basket with reckless abandon. She alters and blocks shots very well. She uses her positioning skills, to box out defenders and grab defensive rebounds. At iBPC, Campbell displayed an ability to take over the game and led Team YERGEY · DAYLOR · ALLEBACK· SCHEFFEY · PICARDI to the tournament final. Campbell led all combine players in blocks with 1.7 per game and was 2nd overall in both player value (15.3) and rebounds per game (7.7). Campbell’s great overall performance included 11.7 points and 2 assists per game and she also ranked #6 overall in athletic ability. Campbell is a 2-time PSAC East Defensive Athlete of the Year (2014, 2015) at Kutztown University. She was also a PSAC First Team award winner in 2014-15. Campbell swatted 55 blocks to rank fourth in the PSAC at 2.0 per game and finished third on the team with 35 steals . Campbell scored in double figures in all but 10 games this season to average 11.4 points per clip, and dominated the glass for 8.4 rebounds per game. Campbell notched eight double-doubles on the year. Over the course of her career, Campbell was nationally ranked 10th in Blocked shots per game, 20th in Steals Per Game, and 5th in Triple Doubles. Priscilla Dodoo is a good overall player, with leadership qualities that include communicating well with teammates and the ability to step up her game in key moments. She is super-quick and very athletic, using her body well in both offensive and defensive situation. She has the ability to step out and shoot the 3. Dodoo has a nice touch around basket and nice ball control. She moves well without the ball making smart cuts to receive the basketball and finish around basket. She utilizes superior speed and length to get to the basket, and keeps the defense hones with a great change of speed. Dodoo is strong going right and alsoo effective attacking with her left. With good body control, she makes tough acrobatic layups look easy. Dodoo is a good rebounder, and uses position around and under the basket to finish in the lane. A speedy and active defender, she has great on-ball Defense. She stays active on the defensive end and uses quick hands and a great ability to read pass for creating turnovers that lead to easy baskets for her team. Dodoo uses quick lateral movement to stay in front of and body up opposing guards. Dodoo led Team YERGEY · DAYLOR · ALLEBACK· SCHEFFEY · PICARDI to the iBPC semi-finals with very good all-around play. Her 50% 3-pt shooting led all iBall Pro Combine Players. Dodoo excelled athletically, logging a vertical leap of 25″ (6th overall), shuttle of 3.85 sec (4th overall) and a multi-directional movement of 7.28 seconds leading to an overall ranking of 4 according to stats by MAXOUT. At Stonehill College, Dodoo was named East Coast Conference (ECC) Player of the Year, averaging 16.1 pts and 9.8 rebounds (35th in nation). She also logged 10 double doubles for the Skyhawks. For A Complete List of All 2015 Women’s iBall Pro Combine Players, with Resumes that include Bios, Career History, Video, References, Agency, and Contact Info Please Click Here. The Mission of iBall United is to build and sustain the successful careers of players, agents, and other basketball management across the globe. Select from a suite of services, many of which can be customized to fit your unique needs. 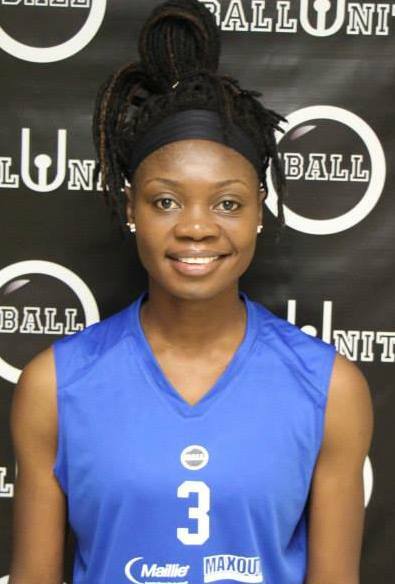 This entry was posted in iBall Pro Combine and Free Agent Exposure Camp, iBall United, Pro Scouting Reports, Womens Free Agent Pro Exposure Camp Tryout and tagged 2015 Women's iBall Pro Combine, A Star is Born Tax and Notary Service, Advia Campbell, American Midwest Conference, Bowie St, Canada D1, Chanell Mackey, CIAA, Creekside Sports Bar and Grill, Crista Ricketts, Debaptiste Funeral Homes, Donia Naylor, East Coast Conference, iBall United, iBPC, Inc, Kutztown University, MAXOUT, Mercer University, Monae Baker, Montijobanda Club, NAIA, NCAA Division 1, Park University, Portugal, Priscilla Dodoo, PSAC East, Shippensburg, Southern Conference, St. Louis, Stonehill College, The Original Profender, YERGEY · DAYLOR · ALLEBACK· SCHEFFEY · PICARDI. Bookmark the permalink.